After waiting for the right time to get back to my farm and do something beyond de-weeding the land (successfully done in December), I am now working on a project to dig an open well and put some fencing around my land. 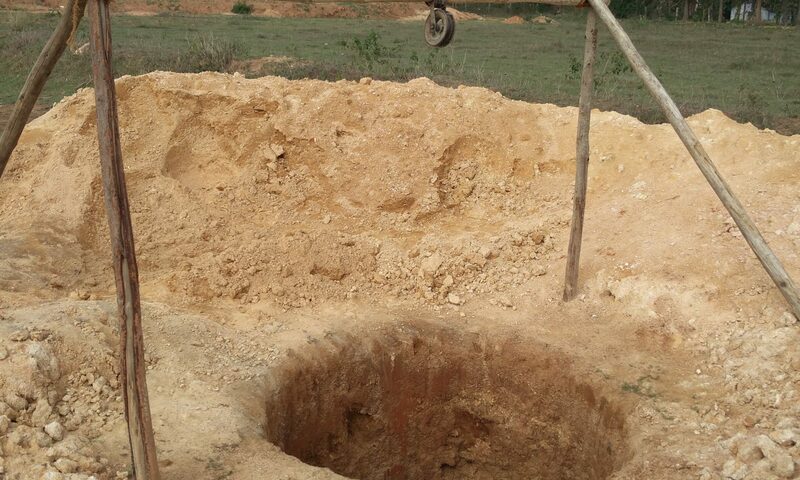 An open well is a hit and miss given the arid conditions in the village of Marupally and in the greater Krishnagiri district in Tamil Nadu. Not many farmers are keen on farming as much as they are interested in earning a few quick bucks doing some odd jobs, looking after farmhouses of rich folks from Bangalore or altogether ignoring the land to pursue other professions. If the open well doesn’t work (by end of April, 2018), I have no other choice but to go with an expensive borewell set up. That I am not keen on doing for various reasons including the strain on the natural resources and pain of dealing with electricity authorities for pulling a power line to the farm.